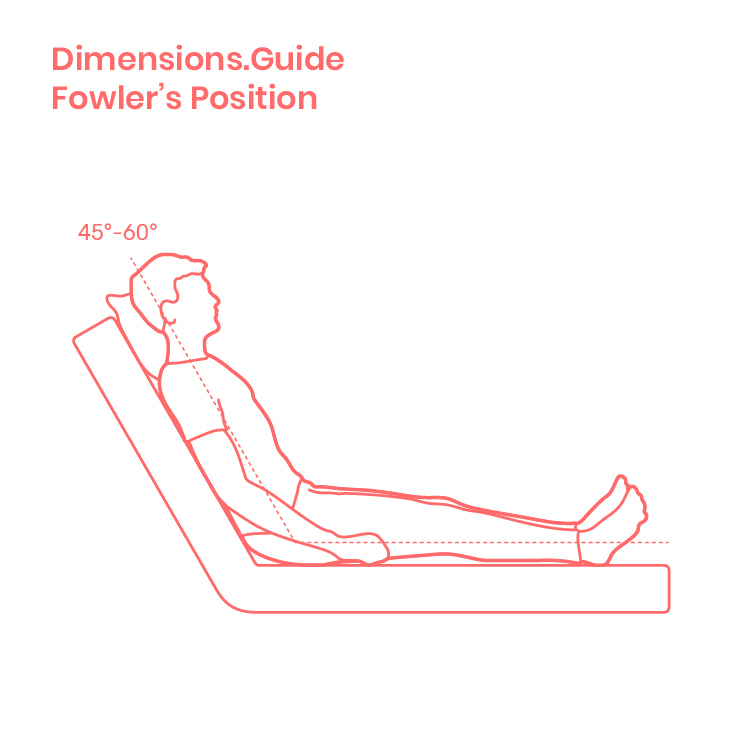 The Fowler’s position is a semi-upright medical position where the patient sits with their upper body raised at an angle between 45°-60° in relation to the lower body. The patient’s knees may be straight, bent, or elevated as needed. Named after George Ryerson Fowler, the Fowler’s position is most often used to promote respiration and oxygenation through the expansion of the chest. Fowler’s position can also be used to alleviate abdominal tension, for improved drainage, and for improved comfort while eating.